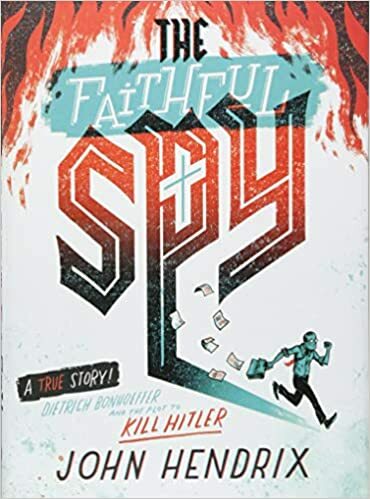 Summary: Growing up in Germany in a family of scientists, Dietrich Bonhoeffer went his own way, showing a keen interest in theology at a young age. At age 12, he lost his older brother in World War I and began a lifelong quest to understand human suffering in the light of his Christian faith. When Hitler came to power in Germany, Bonhoeffer found himself with increasingly difficult choices to make. He founded the illegal Confessing Church to support those who opposed Hitler’s takeover of the German churches. When that was shut down, he decided the moral choice was to join forces with those who sought to assassinate Hitler, and was part of two unsuccessful attempts before being arrested. He spent a year and a half in prison, ministering to other prisoners and guards and refusing a chance at escape because of the danger it would bring to his family. Finally, Bonhoeffer was found guilty of trying to kill Hitler, and was executed on April 9, 1945, just three weeks before Hitler committed suicide. Includes an author’s note, bibliography, notes, and an index. 176 pages; grades 6-12. Pros: I’ve read a lot of good reviews of this book, and I was not disappointed. It’s kind of like a graphic novel, with the text well-incorporated into the black, turquoise, and red illustrations. The rise of Hitler is chilling, and the lessons to be learned from the complacency of those in power in Germany can’t be overstated. Hendrix clearly wants readers to think about how those lessons can be applied to today’s political situations. Bonhoeffer’s faith and humanity in the face of an increasingly inhumane world is inspiring to say the least. Both the Newbery and Caldecott committees should give this book consideration. Cons: Some of the print was so small I had to take my glasses off to read it. (If you’re over 45, you’ll understand what I’m talking about).